Need help with your order?. Browse our great range of products and checkout online. Speed:digital display the vehicle driving speed. 1 x Head Up Display. 1 x Reflective Film. Due to the difference between different monitors, the picture may not reflect the actual color of the item. Note: This Product Only compatible with universal OBD II and EOBD interface, but incompatible with OBD I or JOBD. 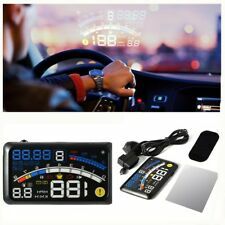 1 x Car Head Up Display. 1 x Anti-Slip Pad. 1 x Power Cable. 9x5.4x1.2cm/ 3.54x2.12x0.47". (B) FACIA KIT FORD RANGER. Need help with your order?. Product Type. Browse our great range of products and checkout online. Easy snap on installation. Supplied with left and right mounting brackets. Browse our great range of products and checkout online. (B) FACIA KIT DOUBLE DIN HOLDEN VT/VX. Product Type. Browse our great range of products and checkout online. HUD size: 150 85 14(mm). HUD Main Functions&Features Available for cars with OBD2 and EUOBD port(Car automatic diagnosis system) ,plug and play. Engine RPM alarm can help to fuel-efficient by shifting, and is good for novice. HUD size: 150 85 14(mm). HUD Main Functions&Features Available for cars with OBD2 and EUOBD port(Car automatic diagnosis system) ,plug and play. Water temperature icon. Type: Head-up Display. Display type: Digital. Browse our great range of products and checkout online. Available for cars with OBD2 and EUOBD port(Car automatic diagnosis system) ,plug and play. 1 OBD Cable. 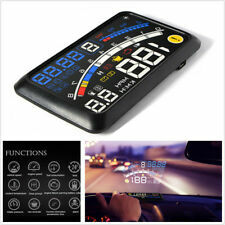 Multi function display mode or simple function display mode can be switched freely. 1 Head Up Display. (B) FACIA UNIVERSAL DOUBLE DIN MOUNTING KIT. Need help with your order?. Product Type. Browse our great range of products and checkout online. (C) FORD AU POCKET BLACK. Browse our great range of products and checkout online. Need help with your order?. Need help with your order?. Product Type. Browse our great range of products and checkout online. (B) IN DASH MOUNTING KIT. Product Type. Browse our great range of products and checkout online. Alarm sound level: >= 30db. Engine RPM alarm can help to fuel-efficient by shifting, and is good for novice. Over speed alarm. Water temperature icon. Display mode: default mode, high-speed mode, automatic mode. (B) FACIA KIT GREY HOLDEN VY 06. Browse our great range of products and checkout online. HUD size: 150 85 14(mm). 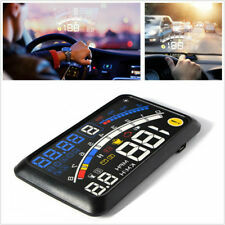 HUD Main Functions&Features Car Make: Cars with OBD II Interface. 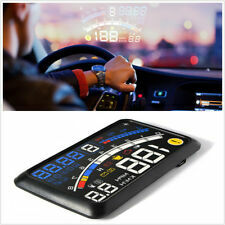 1 x OBD II Head up display. Engine RPM alarm can help to fuel-efficient by shifting, and is good for novice. 2.High-brightness color LED display screen stereo imaging, no duplicate shadow, no film, no redundant reflection. Enhancing driving safety, driving without bowing head, exquisite and unique appearance design, compact and delicate. 1 x OBD Cable. You can switch between multiple display functions or simple display functions freely. 1 x Head Up Display. Due to the difference between different monitors, the picture may not reflect the actual color of the item. HUD size: 150 85 14(mm). HUD Main Functions&Features Water temperature icon. Alarm sound level: >= 30db. Type: Head-up Display. Display type: Digital. 1 x Non-slip Mat. Display mode: default mode, high-speed mode, automatic mode. 1 x Head Up Display. Due to the difference between different monitors, the picture may not reflect the actual color of the item. 1 x OBD Cable. Color:As the picture. Model KEH-M7200. THE EXACT ITEM IS PICTURED ABOVE. TESTED & WORKING GREAT! Speed:digital display the vehicle driving speed. 1 Head Up Display. Due to the difference between different monitors, the picture may not reflect the actual color of the item. Color:As the picture. Multi function display or simple function display can be switched freely. 1 x Head Up Display. Due to the difference between different monitors, the picture may not reflect the actual color of the item. 1 x OBD Cable. 1 x Head Up Display. 1 x Reflective Film. Due to the difference between different monitors, the picture may not reflect the actual color of the item. Color:As the picture. HUD short for Head-up Display. Drivers can read the driving information instantly, and can always keep the best state on the way with HUD. 1 x Head Up Display. 1 x Reflective Film. Due to the difference between different monitors, the picture may not reflect the actual color of the item. 1 x OBD Cable, Cable Length: 1 m. 5.5" large color screen, reflective readings, non-destructive installation, plug and play. 1 x Head Up Display. 1 x Reflective Film. Due to the difference between different monitors, the picture may not reflect the actual color of the item. Available for cars with OBD2 and EUOBD port(Car automatic diagnosis system), plug and play. 4.Nano-technology to eliminate double reflections, more clear. 1 x Head Up Display. 1 x OBD Cable, Cable Length: 1 m.
2,China mainland and Hongkong will not be send to. EXACT ITEM IS PICTURED ABOVE. COVER ONLY. _gsrx_vers_779 (GS 7.0.4 (779)). HUD (Head-Up Display) projects driving data without requiring drivers to look away from their usual viewpoint. HUD automatically adjusts its brightness level, so its projections are clearly visible in direct sunlight or at night. Nano-technology to eliminate double reflections,more clear. 1 x OBD Cable, Cable Length: 1 m. 1 x Head Up Display. 3.Multi-color design makes the screen more abundant and easier to read. Plug and Play connectivity with any OBDII or EUOBD capable vehicle.